The Department of Transportation (DOT) and the Federal Motor Carrier Safety Administration (FMCSA) adapted medical guidelines that diabetic truck drivers must meet. They are part of the requirements for obtaining an interstate Commercial Driver’s License (CDL). At one point in time, a truck driver with diabetes had to prove they have had diabetic episodes for three years to qualify for the diabetic exemption program. Since the diabetic exemption program was revised, this qualification no longer applies. 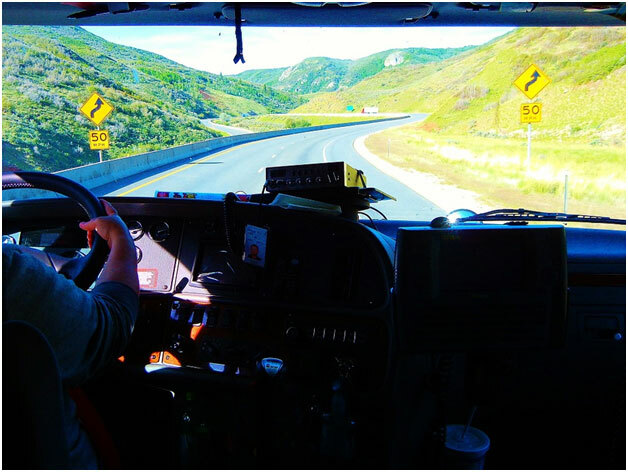 Read below to find out what the new DOT regulations mean for prospective truck drivers with diabetes. The first diabetic exemption program was established in 2003. It contained a long list of stipulations that made it hard for diabetic truck drivers to qualify for their CDL. 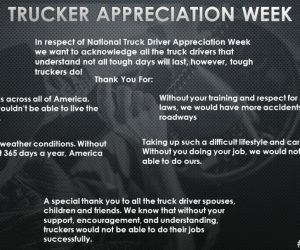 This kept many capable truck drivers from employment with interstate trucking companies. One of the main DOT regulations hindering diabetic drivers from qualifying for the exemption program was the three-year rule. The three-year rule stated truck drivers with diabetes must have a record of driving for three years without a diabetic episode, and must have been on insulin for that time. It prevented nearly all potential drivers with diabetes from meeting the old DOT regulations. Between 2003 and 2005, only four exemptions were granted to diabetic truck drivers. On November 8, 2005, the FMCSA overturned some of the rules stated in the 2003 diabetic exemption program. The agency made vital changes, opening the road to more diabetic truck drivers. The FMCSA started accepting applications for the revised diabetic exemption program on September 22, 2005. The 2005 DOT regulations for the diabetic exemption program follow the recommendations of the FMCSA Expert Medical Panel. 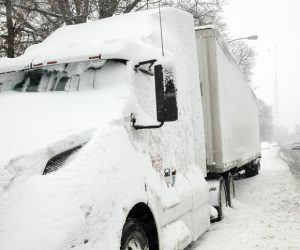 The panel recommends that insulin-dependent truck drivers be on medical observation during a 1-2 month period of driving a commercial vehicle. The medical panel also suggests the driver’s A1C levels remain between 7 and 10 percent. DOT’s new regulation requires truck drivers who have Type 1 diabetes to take insulin for a minimum of two months before eligibility for exemption is granted. Drivers with Type 2 diabetes are only required to use insulin for one month before being considered for exemption. There are a few requirements diabetic truck drivers must meet before qualifying for the diabetic exemption program. The process consists of three stages: the initial screening, a medical examination, and continued monitoring. During this screening, the driver is monitored. Their safety record is used to determine if the driver can safely use insulin while operating a commercial motor vehicle (CMV). A medical examiner looks at the driver’s medical history to see if there is any indication of hypoglycemia. Next, the driver undergoes a complete physical examination. After the medical examination, the driver is given information for managing their diabetes while driving a commercial vehicle. The truck driver may be given supplies for maintaining his or her blood glucose levels. Diabetic truck drivers seeking an exemption must provide a current medical report from their primary physician. The physician’s report should detail the driver’s current level of diabetic control. Without a primary physician’s waiver, diabetic drivers will not be approved for DOT certification. FMCSA is starting a National Registry of Certified Medical Examiners (NRCME). These examiners will be qualified to handle all the DOT medical examinations, including examinations for those with diabetes. Diabetic truck drivers must also submit to a diabetic monitoring program. Each driver agrees to monitor and report his or her insulin schedule, any severe hypoglycemic episodes or accidents. There are a couple of ways a truck driver can be disqualified from the exemption program. If a driver has more than one diabetic reaction within one year or more than two within five years of applying for exemption. The following events are considered diabetic reactions or episodes. The second reason a diabetic truck driver may be disqualified is evidence of organ damage due to progressive diabetes. Organ damage can include macular degeneration, congestive heart failure, strokes, retinopathy, vascular disease, peripheral neuropathy or kidney failure. The law gives the FMCSA 180 days to review and either grant or deny an application for diabetic exemption. However, certain stipulations may affect the turnaround time of an application. It may take longer if the application is incomplete, the applicant is required to undergo further medical testing or the driver must provide duplicate medical documentation. After the FMCSA makes their decision, they will post a notice in the Federal Truck Driver Safety Registry. The notice will remain in the registry for up to 30 days to allow the public time to comment their approval or concerns about the driver’s safety. Once the agency reviews the public opinion and makes their decision, the driver receives an acceptance or denial letter through the mail. The FMCSA diabetes panel is currently reviewing the physical standards qualifications. There are several process steps. All considerations and amendments must be reviewed and approved by the FMCSA medical board and chief medical officer. The DOT and FMCSA have discussed the possibility of doing away with the diabetic exemption program. However, the program’s abolishment is not set in stone. For now, truck drivers with Type 1 or Type 2 diabetes still must apply for the diabetic exemption, to drive commercial vehicles on out-of-state highways. Diabetic truck drivers applying for a diabetes exemption should download a copy of the application (PDF) available on the FMCSA website. You must be evaluated by an ophthalmologist or optometrist, and an endocrinologist. These doctors must provide specific information regarding your diabetes. The agency may request additional information as well.